Norman Buchanan was born in 1858 at Uig on the Island of Lewis, in the Outer Hebrides. His name in the local dialect was Tormod Iain Saighdear. He was the eldest child of John Buchannan and Ann née Smith. His father had intended that he should follow an educational career but Norman preferred a career in the drapery trade. He moved to Yeovil in 1880 and in the 1881 census he was listed as a boarder in Middle Street at the home of John Dunlop, a draper also from Scotland. Norman's occupation was described as traveller. By the time of the 1891 census Norman, aged 32 and still unmarried, was living in Wyndham Street with his 22-year old brother Alexander. Norman was described as a travelling draper and Alexander was listed as a travelling draper's assistant. On 30 December 1891 he married Yeovil-born Emily Rose Denmead, known as Rose, the 22-year old daughter of Ambrose Denmead and his wife Martha née Stuckey, in Yeovil. By 1901 Norman and Rose were living at 10 Sherborne Road with two of Rose's sisters, Ada and Mabel, and a credit draper's assistant. Norman was described as a 'credit draper', Ada as a dressmaker and Mabel as a milliner. His business slowly grew and he gradually became more prosperous. Norman was a Freemason and was initiated into Yeovil's Lodge of Brotherly Love on 5 June 1895. He served as Worshipful Master of the Lodge in 1904. In 1905 he made his first attempts to enter into public affairs and contested for a seat on the Town Council in the east ward but was defeated. A vacancy occurred in the north ward during 1906 and he was elected at a by-election, representing that ward for the rest of his political career. He was chairman of the Allotments Committee from its formation and a member of the Finance, Housing, and Sanitary Committees. He was vice-chairman of the Education Committee and was one of the Town Council's representatives on the Board of Management of the County School and the governing body of the Girls' High School. He was a member of the Burial Committee, an ex-officio governor of Woborn's Almshouse and an Overseer of the Poor. He was also a member of the Board of Guardians for about seven years. In 1913 Norman was listed on the Bridport register of electors by virtue of his property in West Bay, even though his residence was listed as Osborne House in Yeovil. 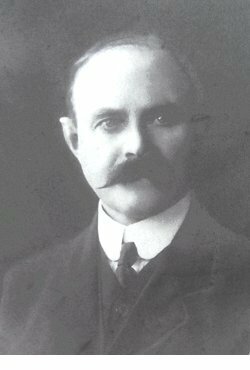 He served four consecutive terms as mayor of Yeovil from 1912 to 1916 and when war broke out in 1914 his normal heavy duties increased to a very large extent. He was chairman of all the numerous War Committees that sprang up, campaigned on behalf of refugee Belgians, presided at many different meetings, opened various functions, and so forth. Sadly he died in office. He was killed falling down the stairs in his home, Osborne House, on New Year's Eve 1915 after attending a civic function, although he didn't die until 17 January 1916. He was 58 years old. He left his estate of £6,959 15s 1d (over £500,000 at today's value) to his widow, Rose. 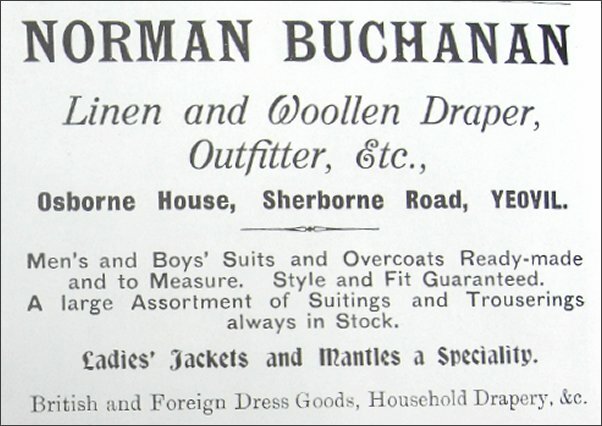 Norman Buchanan's advertisement in Whitby's Yeovil Almanack Advertiser. 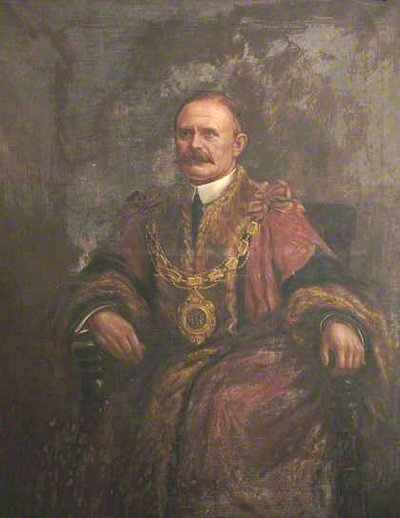 Norman Buchanan's mayoral portrait, painted in 1916 the year in which he died in office.